Yo Ho Yo Ho... it is Pirate Week for our Virtual Book Club for Kids! Have you ever heard of International Talk Like a Pirate Day? It is coming up on September 19th! I am a total sucker for silly holidays and excuses to dress up or turn a day into a celebration. Today my toddler and I made a pirate ship with a plastic tub and a paper pirate hat and now she is OBSESSED with pirates. She spent all day practicing saying, "Shiver me timers" and "Argg." It is hysterical. Just in case you want to join in on the pirate excitement, I'm sharing 10 super easy Pirate Week activities that are quick to put together and pack in a whole lot of fun! If you click on the activities shared below, they will take you to the full tutorial. 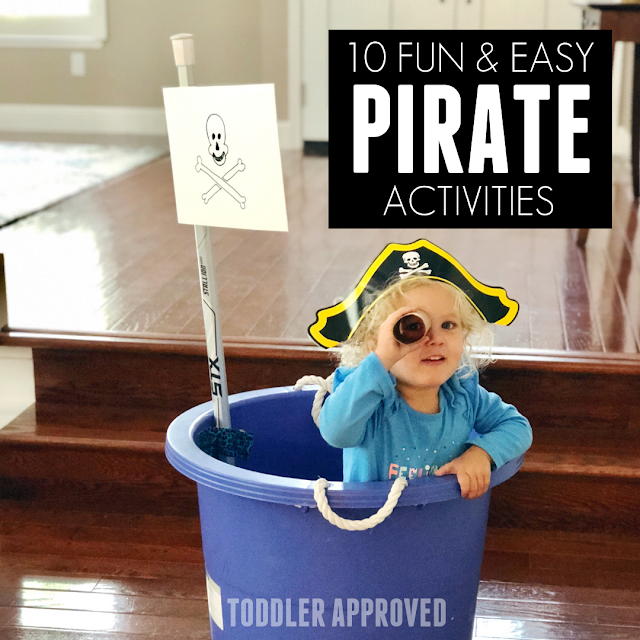 If you try any of these 10 simple pirate activities, send me a picture or post them in our Weekly Virtual Book Club for Kids Facebook group. It is so fun to see what everyone is doing! 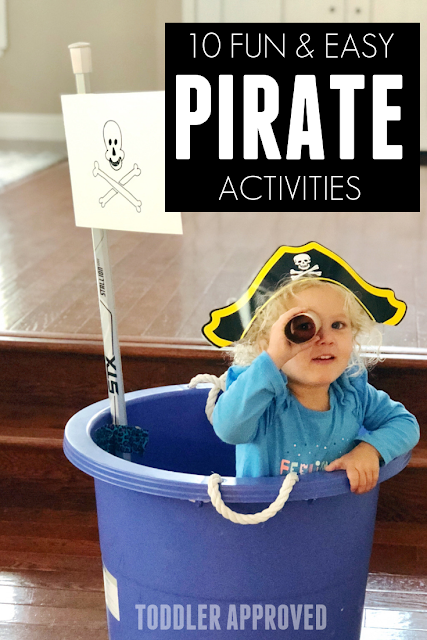 Do you have any other favorite pirate themed activities? What about pirate themed books for kids?